Rogue Valley Transportation District (RVTD), the public transportation provider in Oregon’s Rogue Valley, and XL, a player in connected vehicle electrification solutions for commercial and municipal fleets, announced a successful deployment of six hybrid-electric (HEV) passenger vans in RVTD’s paratransit fleet. Using regenerative braking and electric assist during driving, the XLH electrification technology increases fuel economy without requiring additional charging stations or investment. The Ford Transit passenger vans are already seeing a more than 25 percent increase in miles per gallon over RVTD’s conventional Transit vans. In addition, RVTD expects to decrease CO2 emissions by 20 percent. Public transportation and municipal fleets require superior reliability in their vehicles, and log significant mileage every year. Local agencies are also growing mandates for carbon emissions reduction and reduced reliance on fossil fuels. RVTD, which provides transportation to residents in seven communities along a fixed-route system and paratransit service in a 300-mile area, selected XL’s fleet electrification technology to help green these commercial vehicles and reduce its carbon footprint. 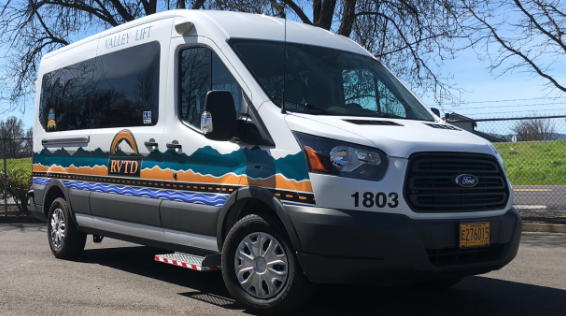 The entire fleet is accessible to people with disabilities, and, as part of the agency’s paratransit services, the XL-equipped vehicles can accommodate riders in wheelchairs for rides on a scheduled and as-needed basis. In addition to the RVTD deployment, XL provides HEV and plug-in hybrid electric (PHEV) vehicle systems, which are standard wall outlet-ready, to municipal fleets across the U.S., which tap technology to electrify vehicles without the extra cost of building additional charging infrastructure. RVTD anticipates the XL HEV vans will also see improved brake life in addition to the MPG gains the technology has already provided.